Entries for the 2017 Awards are now closed. Shortlisted entrants are listed below. The Awards will be followed by a Masterclass to be chaired by Professor Colin Green. What are the SWIG Awards? Why should you enter the SWIG awards? You will receive recognition for your contribution to sustainable water. All shortlisted entries will be posted on the SWIG website, leading to valuable exposure for your company or product. The awards are easy to enter. We ask you to complete a short webpage with details about your project, with supporting photos and data, where appropriate. Projects should be ongoing or to have been completed within the last two years. Conceptual and prototype entrants may also be considered, but need to be clearly identified as such. Entries close on Friday 8th September. The award ceremony will take place on Wednesday 8th November 2017 at Greencoat Place, Victoria, London. In addition to the general criteria listed above, specific criteria will be applied to the different categories so that the entries can be ranked. All judges have relevant expertise in one or more of the award categories. All the judges will be involved in the decision as to which project/projects will win an award, unless there is a conflict of interest. 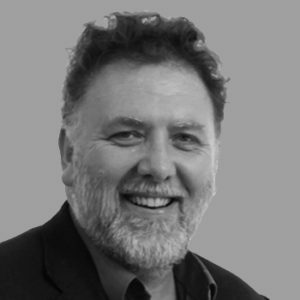 Gary is a Chartered Environmentalist, Fellow of the Chartered Institute of Ecology and Environmental Management, Fellow of the Leeds Sustainability Institute and thesis tutor at the Bartlett Faculty of the Built Environment, University College London. 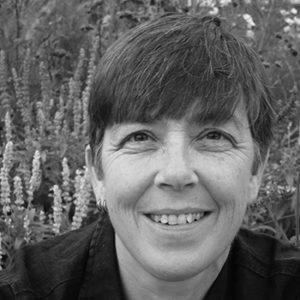 Cath Hassell is an expert in sustainable water strategies and low-carbon technologies, formed from a background of 17 years in the plumbing industry and 19 years in environmental building. John is the Managing Director of JPJN Partners Ltd and specialises in consultancy related to water supply and drainage issues, especially water efficiency. He was awarded an Honorary Fellowship by CIBSE’s Society of Public Health Engineers (SoPHE) in 2016. 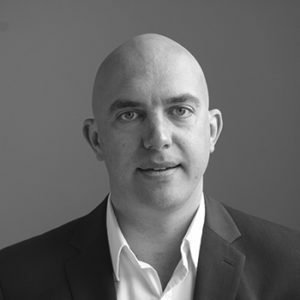 Luke Engleback CMLI AoU is a Chartered Landscape Architect and Ecourbanist with over 30 years experience of environmental design and planning in the UK and abroad, founding Studio Engleback in 1996. Lutz Johnen is managing director of Aquality Trading & Consulting Ltd, a company he founded in 2004 to introduce rainwater harvesting and greywater recycling technologies to the UK market. Prior to founding Aquality, Lutz was managing director of Germany based GEP Umwelttechnik GmbH. Colin is Emeritus Professor of Water Economics at the Flood Hazard Research Centre, Middlesex University. An unreconstructed water nerd, he suspects that he is the only person to have visited the museums of sewers in Paris and Lodz as well as the water museum in Beijing, and takes photographs of interesting toilets. 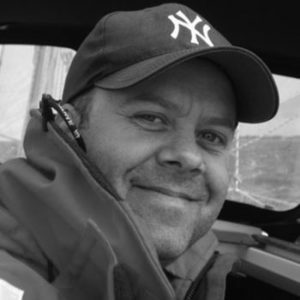 Chris has a wealth of experience in marketing having worked with brands as diverse as Sony, O2, Triumph Lingerie and Nestle. He set up a sustainable renovation business in 2007 and first came across SuDS in 2008, when he qualified as a Code for Sustainable Homes assessor. 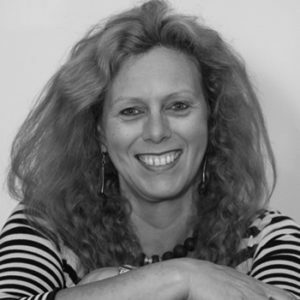 Sue Illman is Managing Director of Illman Young, a landscape architectural practice based in Cheltenham, and was President of the Landscape Institute from 2012-2014. Whilst her practice works across most planning and development sectors, she is probably best known for her advocacy work. Entries, or modifications to entries, after that date will not be permitted. Shortlisted entrants will be notified. Do you think your project is worthy of a 2018 SWIG Award? We will be uploading entry forms for the Product, Project, Communication and Student categories in 2018. Have you seen something that should get an Award in 2018? Sue Illman is Managing Director of Illman Young, a landscape architectural practice based in Cheltenham, and was President of the Landscape Institute from 2012-2014. Whilst her practice works across most planning and development sectors, she is probably best known for her advocacy work promoting integrated water management and SuDS through inter-professional collaboration. Catchment management alongside the integration of grey, green and blue in our urban landscape has never been more relevant, and is a subject that Sue continues to promote; a role that has been recognised in her current position as Champion for Flood Mitigation and Resilience on behalf of the Construction Industry Council (CIC). Sue was an author of the new SuDS Manual, launched in November 2015, and is currently lead author developing the new SuDS Construction guidance for CIRIA. More recently, he has become the SuDS Marketing Development Manager for Marshalls plc, the UK’s largest hard landscaping manufacturer. He is principally responsible for the development and communication of Marshalls water management strategy, working with external organisations to understand the link between linear drainage, permeable paving and soft & hard SuDS. He is also responsible for Marshalls Concrete Block Paving (CBP) portfolio, engineering the change from standard paving to permeable paving to reduce flood risk in the UK. He sits on the BiTC Water Taskforce and the Interpave Marketing Committee to promote understanding of SuDS. Living in the Calder Valley in West Yorkshire, Chris has first-hand experience of the devastating aftermath of floods. He works with a number of local organisations to support their efforts to minimise flood risk in the area. When he’s not talking or thinking about flooding, he mainly enjoys playing the drums and mucking about with his 2-year old daughter. Colin is Emeritus Professor of Water Economics at the Flood Hazard Research Centre, Middlesex University. An unreconstructed water nerd, he suspects that he is the only person to have visited the museums of sewers in Paris and Lodz as well as the water museum in Beijing, and takes photographs of interesting toilets. His research developed to focus upon what restricts innovations becoming standard practice and, conversely, what keeps unsustainable water management as standard practice. He is currently finishing a book on the political economy of water management and, at home, having built a rain garden, installed drip irrigation, and forbidden the flushing of the toilet unless it is strictly necessary, he is installing a greywater recycling system. Previously, he acted at various times and in different capacities as consultants to the Environment Agency, Defra, OFWAT, Greenpeace, Friends of the Earth and English Nature, and as a specialist advisor to the EFRA Select Committee of the House of Commons. He has been involved in multiple EU funded research projects, most recently in SWITCH, on sustainable urban water management, and STARFLOOD, on flood risk management governance. Beyond the UK, he has also acted for such international agencies as the WMO, WCD, OECD, UN Water Decade and World Bank. Lutz Johnen is Managing Director of Aquality Trading & Consulting Ltd, a company he founded in 2004 to introduce rainwater harvesting and greywater recycling technologies to the UK market. Prior to founding Aquality, Lutz was managing director of Germany based GEP Umwelttechnik GmbH, a specialist manufacturer of rainwater harvesting systems. While at GEP, Lutz was responsible for introducing rainwater and greywater recycling technologies to new and emerging markets across Europe and Japan. He also project managed a joint German-Chinese governmental research project looking at alternative water technologies for residential apartment blocks in Beijing. Lutz is chairman of the UKRMA (UK Rainwater Management Association). He is a member of the Green Building Council UK, the Fbr (German rainwater harvesting association) as well as ARCSA (American Rainwater Catchment Systems Association). 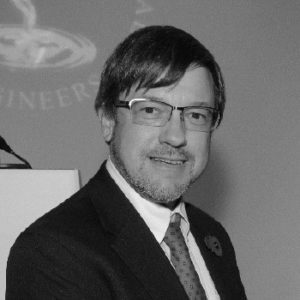 He has more than 20 years experience in advising engineers and architects on rainwater/greywater system designs and integrating new water technologies in attenuation, soak-aways and fire fighting systems. He is lecturer for non-potable water management at the Mid-Career College of the Chartered Institute of Building Services Engineers (CIBSE). His focus remains on achieving water efficiency solutions and delivering a cost-effective return on investment for client businesses. 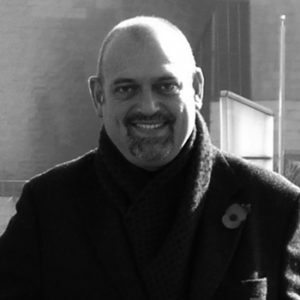 Luke Engleback CMLI AoU is a Chartered Landscape Architect and Ecourbanist with over 30 years experience of environmental design and planning in the UK and abroad, founding Studio Engleback in 1996. He is an inquisitive practitioner who has taught in architecture schools over 30 years. He has written articles and presented papers and taken part in symposia majoring on Ecourbanism, a whole system approach to urbanism and planning underpinned by environmental infrastructure that delivers a series of environmental services at all scales of intervention. 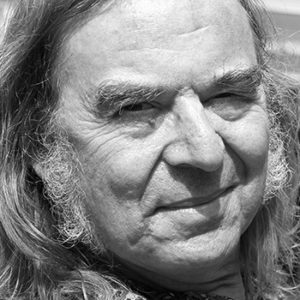 Luke studied under David Skinner, an alumni of Ian McHarg author of the seminal book Design with Nature (1969), from 1978-1983 at Edinburgh College of Art School of Architecture gaining his honours degree from the affiliated Heriot Watt University in 1983. He joined the Landscape Institute in 1984 and became a Chartered Landscape Architect in March 1990. His father, the late Norman Engleback, was the leading architect at the LCC in the 1950s and 60s, so observing buildings and learning about architecture started from an early age. From 1984-87 he worked in Kuwait and the then undeveloped state of Qatar, fore returning to the UK to work in a number of offices becoming the youngest director at RMJM at 29. Studio Engleback was founded in 1996 initially to work on international competitions but became a full time entity in January 1999 and has become an award winning cutting edge environmental planning and design practice that applies whole system, multi-layered approach to planning and design at all scales from macro to micro. The Studio has long advanced the issues of addressing climate change, biodiversity, biophilia and resource depletion in its work. Whilst this approach is not new, but we have taken the layer idea to a more sophisticated level to address a range of other issues that also include the cultural dimension. Our prize winning entry for the Gallipoli Peace Park Competition (Turkey) in 1998 with colleague Chris Moller, was an early example of this layering of history, social issues, and landscape function, the international jury commending the “consistent ecological approach at all scales and levels of intervention – ecology as both planning principle and process”. The international dimension continues, earlier in 2014 Luke was invited to speak in Christchurch, New Zealand and contributed a chapter ONCE IN A LIFETIME – City-building after disaster in Christchurch (published August 2014). Following the devastating Earthquakes in Christchurch, New Zealand, the city is to be the first of 100 Resilient Cities in the Rockefeller Foundation Resilient Cities Programme. Luke also participated at the recent Cornell University Symposium on Sustainability and Biophilic Design, a Whitehall Symposium on Food Security, the Sustainable Water Industry Group, and working groups in the South Downs National Park and on Garden Cities. Studio Engleback has worked on over 300 projects with leading UK architects including: John Pardey Architects, Theis and Khan, Chris Moller Architecture + Urbanism (New Zealand), Light Earth Designs (Rwanda), Fielden Clegg Bradley Studios, S333, 00 Architects, AHMM, DSDHA, Glenn Howells, Sarah Wigglesworth, Bird Portchmouth Russam, Terry Farrell, Michael Hopkins, Macreanor Lavington, Alison Brooks Architects, OMI and many others. John is the Managing Director of JPJN Partners Ltd and specialises in consultancy related to water supply and drainage issues, especially water efficiency. He was awarded an Honorary Fellowship by CIBSE’s Society of Public Health Engineers (SoPHE) in 2016 and is the Secretary of the Hertfordshire Branch of the Chartered Institute of Plumbing and Heating Engineering. Previously he was the Principal Science Officer at the Chartered Institute of Plumbing and Heating Engineering (CIPHE) based in Hornchurch, Essex, England, but formerly Principal Consultant at the Building Research Establishment (BRE). John is a fellow of the CIPHE and has served on many Standards committees in the UK and abroad. John has been involved in scientific research related to water supply and drainage issues for over 30 years. This has included the monitoring of water efficient homes and their drainage systems, the development of low-water-use WCs and urinals, and the development and revision of environmental water management schemes. John also formerly worked for the UK Government and was involved in developing and implementing the EU-ETS Carbon trading scheme as the DTI’s Construction Products Issues and Impact Manager. He was a former technical advisor to Building Regulations on hot and cold water supply, drainage, wastewater treatment and related issues. He formally chaired the British Standards Institution’s Technical Committee on Water Reuse and was the UK’s delegate to CEN and ISO committees on wastewater reuse. He recently chaired the Department for Communities and Local Government’s Hot Water Safety Group. Through the CIPHE, and by collaborating with Waterwise East, he developed innovative training in Professional Water Auditing. He currently represents the UK in a Bill and Melinda Gates funded project to develop an International Standard for Non-sewered sanitation systems (NSSS), as part of the United Nations’ Sustainable Development Goal 6 – Ensure access to water and sanitation for all. He has been on the judging teams for the Waterwise Marque and also for the SWIG awards. John is married to Penny and they have two sons; Josiah and Nathan, as well as a cat called Blackberry. They live in a water efficient house in Hertfordshire, about 20 miles from London. She is director of ech2o Consultants Ltd, a company that works at both a strategic and individual site level, providing technological and behavioural solutions that reduce the UK’s carbon footprint. Cath is a founder member of SWIG (the Sustainable Water Industry Group) and was a director of the AECB for seven years. Fascinated by how we use water she blogs about showering at a year of showering variously, and writes regular columns and technical posts. She regularly delivers workshops to a wide range of audiences, from school pupils to construction professionals, across the UK about environmental issues. In the 1980s he worked for the London Wildlife Trust, managing urban wildspace. He conceived the London Wildlife Garden Centre, which won a RIBA/Times Award and led the Wildlife in Docklands Project for the Wildfowl and Wetland Trust. In the early 1990s he worked on the design of London Natural History Museum’s Wildlife Garden. From the early 1990s he has specified green roofs, beginning with the CUE Building at the Horniman Museum. Gary wrote English Nature’s Research Report on Green Roofs (2003) and is author of Green Roofs and Facades, published by BRE Press in 2006, Ecosystem Services Come To Town: Greening cities by working with nature published by Blackwell-Wiley in 2012 and The Water Sensitive City published by Wiley in 2016. He was formerly a Director of AECOM Design and Planning, working on large scale planning projects including the London 2012 Olympic Park, the Bedford Valley River Park, the Whitehill-Bordon Eco Town, Education City, Doha, Saadiyat Island, Abu Dhabi and Zavidovo, Russia. Currently he is Director of the Green Infrastructure Consultancy devising biodiversity strategies and advising on policy making, planning, design, installation and maintenance of green roofs, living walls and rain gardens.